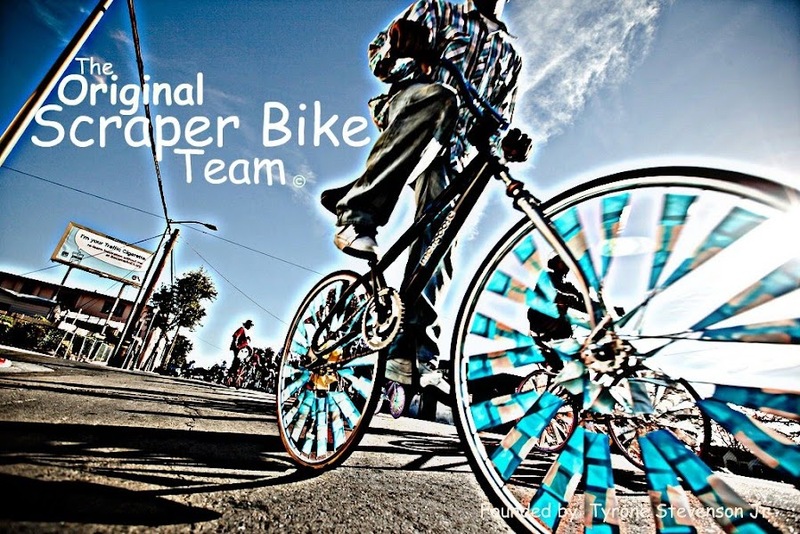 Original Scraper Bikes: Lets Give A Helping Hand.. Lets Give A Helping Hand.. Your Donation Will Reach The Youth Sooner Then You Think..
Any Amount Of Money Will Make A Difference In These Young Peoples Lives. I am working on a website project that will network scraper bike crews and bike youth centers around the world with bios, pics, contacts, etc. Site will be myscraperbike.com Ultimately would love a network for donations and bike drives to flow through too plus giving Oakland all the props! I am the director of The PowerHouse Teen center in Washington, IN and scraper bikes are on the scene in the midwest. Contact me so we can talk. sterry@acclife.org or Sean @ 812-617-5121. Peace. Tena Koe from New Zealand! I've really enjoyed watching the Scraper Movement grow from strength to strength - After watching "Scraper Town" I'm looking forward to seeing it spread here in NZ. Have you setup a facebook page at all? Really amazing positive stuff,the creative flair humbles & crumbles me to pieces!